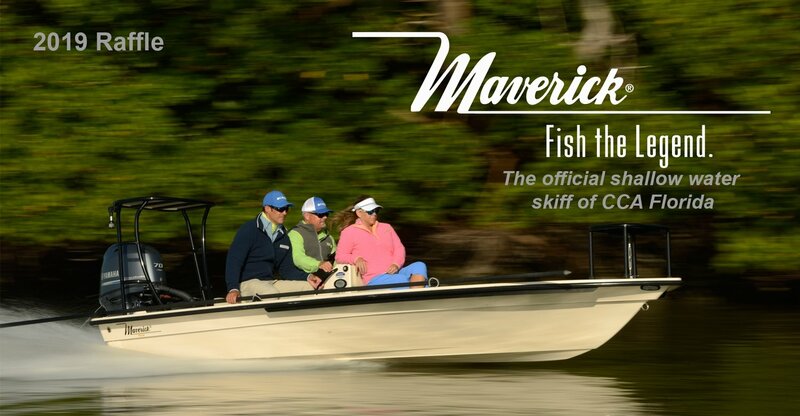 ** Winner will receive a Maverick 17 HPX-S, complete with a 70HP Yamaha motor and custom Amera Trail trailer. Drawing to be held June 22, 2019 between 7:00 and 10:00 PM at River Palm Cottages and Fish Camp 2325 NE Indian River Dr, Jensen Beach, FL 34957. Winner need not be present to win. Winner is responsible for all applicable taxes. Prize donated by Maverick Boat Group and Yamaha. Prize is offered “as is” at time of drawing. No purchase or contribution is necessary to participate. $25 each or 3 for $60 (suggested minimum donation).The drawing is being conducted by Coastal Conservation Association Florida whose principle place of business is 4061 Forrestal Avenue, Suite 8, Orlando, Florida 32806.